The Office of the United Nations High Commissioner for Human Rights (OHCHR) has recommended the international community should press Russia for giving its consent to monitoring of the human rights situation in Crimea by international and regional structures and raise the issues of human rights violations at bilateral and multilateral forums. "[OHCHR recommends the international community] insist on full cooperation of the Russian Federation with international and regional monitoring mechanisms, including by granting unrestricted access to their representatives to Crimea," the office said in its report on human rights violations in Crimea. 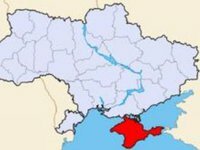 The UN calls on Russia and Ukraine to strictly abide by international human rights law and international humanitarian law in ensuring the protection of the population of Crimea. The report also suggests raising cases of human rights violations and abuses in discussions with the Russian authorities at bilateral and multilateral forums.